David Choong Lee is a Korean artist who combines versatile genres such as graffiti, collage, portraiture and graphic design to create an array of vibrant figurative and abstract artworks. 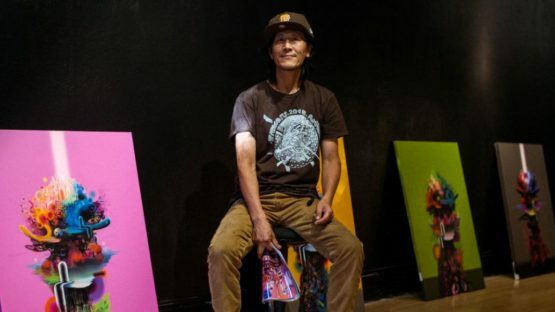 His influences are diverse and include famous painters like Vincent Van Gogh, Rembrandt, Sukdo, but also influences from other arts such as underground music. David Choong Lee was born in Seoul, Korea in 1966. In 1993 the artist moved to the United States to study at the Academy of Art In San Francisco. 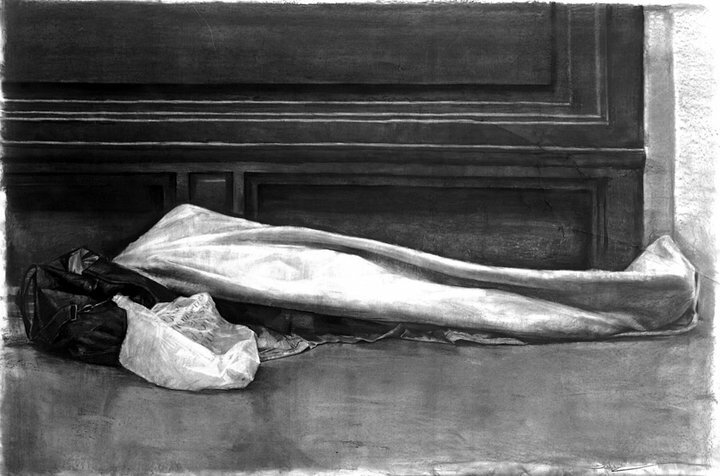 It was there that he created his first portrait depicting homeless people in Tenderloin, San Francisco’s quarter where he resided while attending the University. In time he expanded his area of interest and begun to depict some of the local recognizable characters thus powerfully portraying the diversity of the city. In 2010 the Korean artist began to merge abstract and geometrical pieces with his figurative portraits to create impressive assemblages and landscapes. By portraying the energy of space the artist manages to transport the viewer into his world of color, depth, and detail. His creative process has become more random than before. The artist usually starts his paintings without a proper idea of what he’ll paint or how his artworks are going to look like in the end. His painting process also represents a process of discovery as the image starts to take on a life of its own. 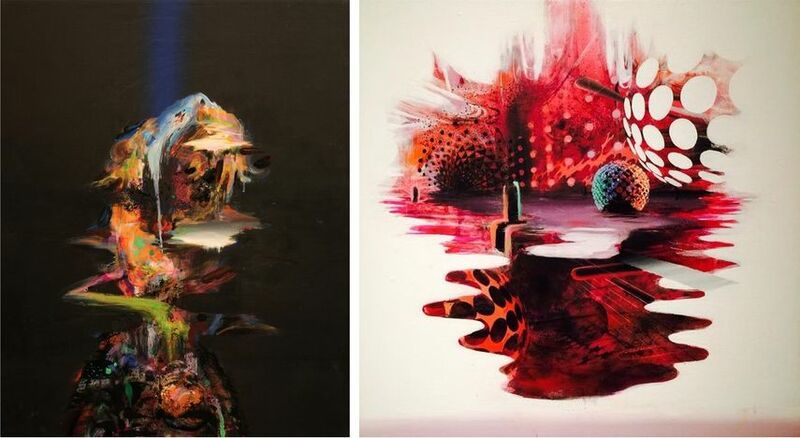 He uses acrylic, latex and aerosol paint to create works that can be described as moving between organic and geometric. His non-figurative vividly colored compositions arise from what he calls his inner visions deeply rooted inside the artist’s soul. His works are inspired by meticulous studies of physics and Darwinism. Every one of his images contained slightly altered forms and variations that show the beauty present in details. David Choong Lee is also prolific for his assemblage pieces the most famous of which Is locate in the hallway of San Francisco Grand Hyatt hotel. 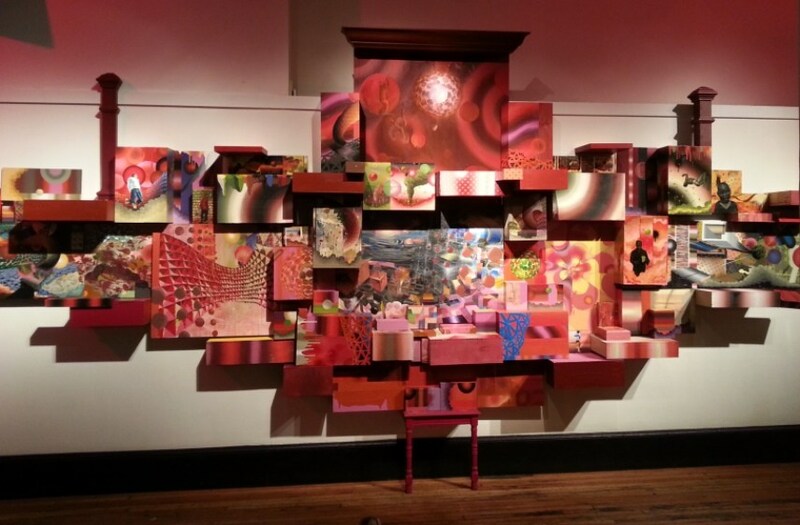 An installation composed of oil and acrylic paintings on wooden boxes depicts an array of people who the artist encountered during the 20 years of is life in San Francisco from homeless people sleeping on the sidewalk of his old neighborhood to those who stood as models in his classes. He has published several books including God made dirt, and dirt don’t hurt, 4 WORDS, DIRT, and CONVERGENCE. The artist is represented by Jonathan LeVine Projects. He lives in downtown San Francisco, USA. Images courtesy of Jonathan LeVine Projects. 2013 Organic Updates 111 Minna Gallery, San Francisco, CA Solo .